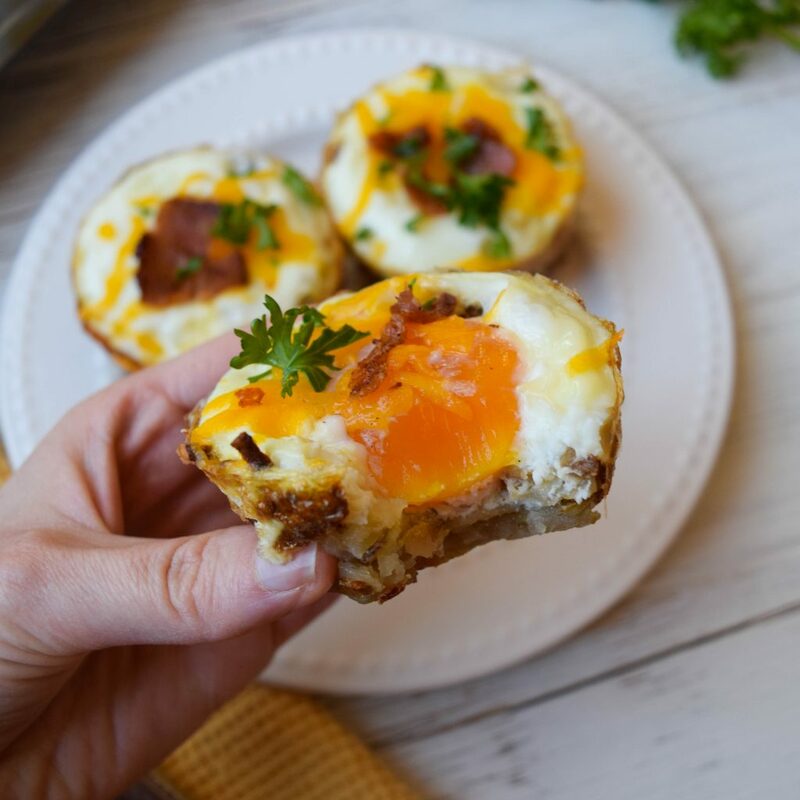 This New Year’s Day, try my Hash Brown Egg Cups for a brunch that is as delicious as it is easy to make. Crispy hash browns are topped with egg, cheese and a sprinkle of bacon for the perfect breakfast bite. 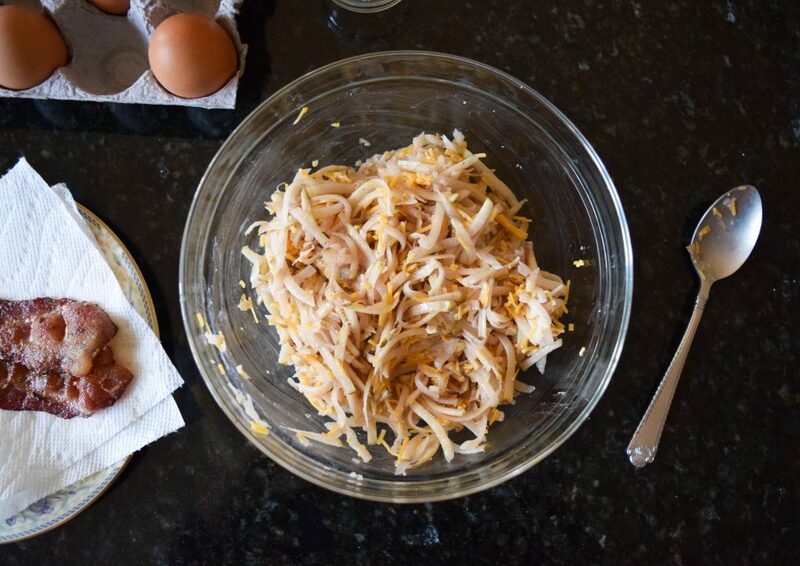 Use your Farmer Owned ingredients to make this tasty treat for a holiday brunch your friends and family will love. Measure out all ingredients and press extra liquid out of potatoes with a paper towel. Preheat your oven to 400°F. Mix potatoes, butter, 1 teaspoon of salt and cheddar cheese in a bowl. Divide potato mixture between 8 thoroughly greased muffin cups. Transfer the muffin tin to the preheated oven and bake for 25 minutes. 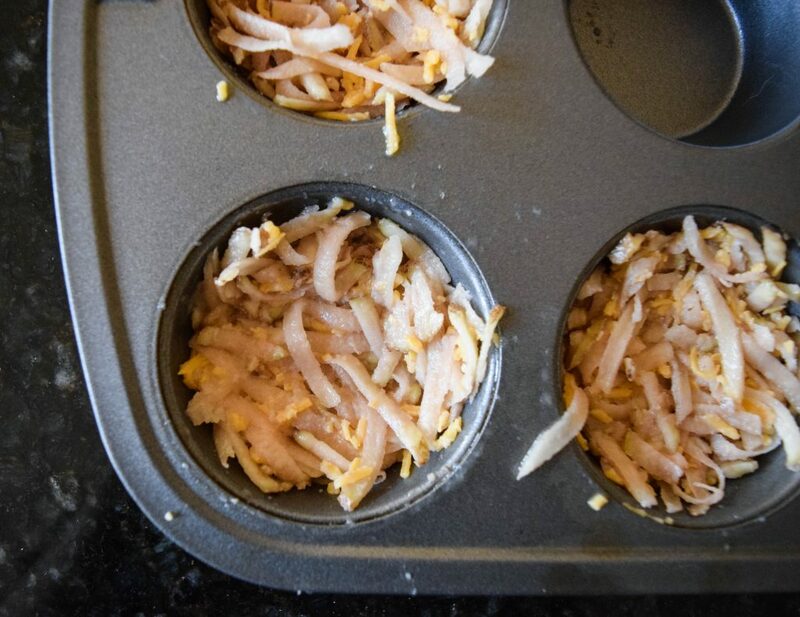 Remove the muffin tin from the oven and use a clean tablespoon to press an indentation into the potatoes to make room for the egg. Crack an egg into each cavity and sprinkle each egg with the remaining salt. Return the pan to the oven and bake 11 minutes until the eggs are almost cooked through. 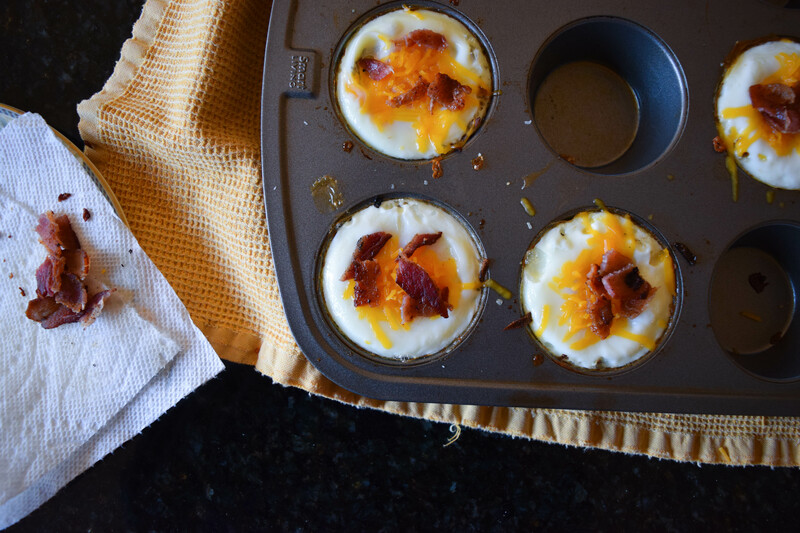 Remove the pan from the oven and top eggs with a sprinkle of cheese and the cooked bacon. Return to the oven to cook for an additional 3 to 4 minutes until the eggs are firm to the touch and the cheese is melted. 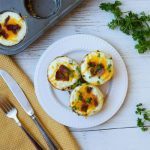 Let the egg cups rest for 10 minutes before running a sharp knife around the edge of each and removing carefully. Serve immediately with a sprinkle of parsley or chives. 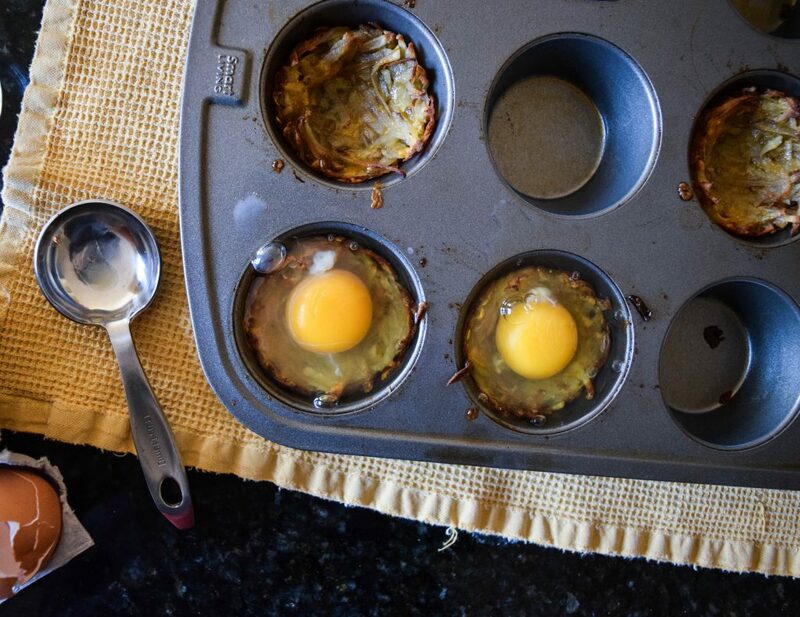 Try these Hash Brown Egg Cups for a brunch that is as delicious as it is easy to make. 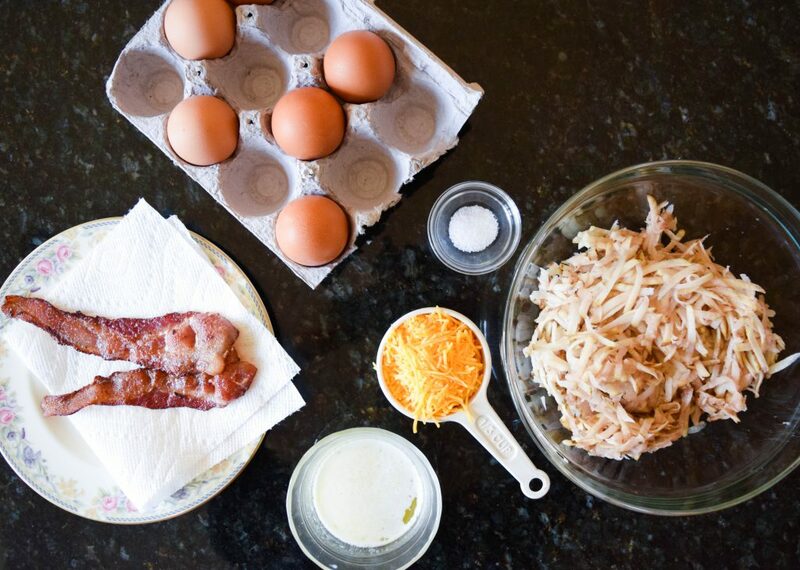 Crispy hash browns are topped with egg, cheese and a sprinkle of bacon for the perfect breakfast bite. 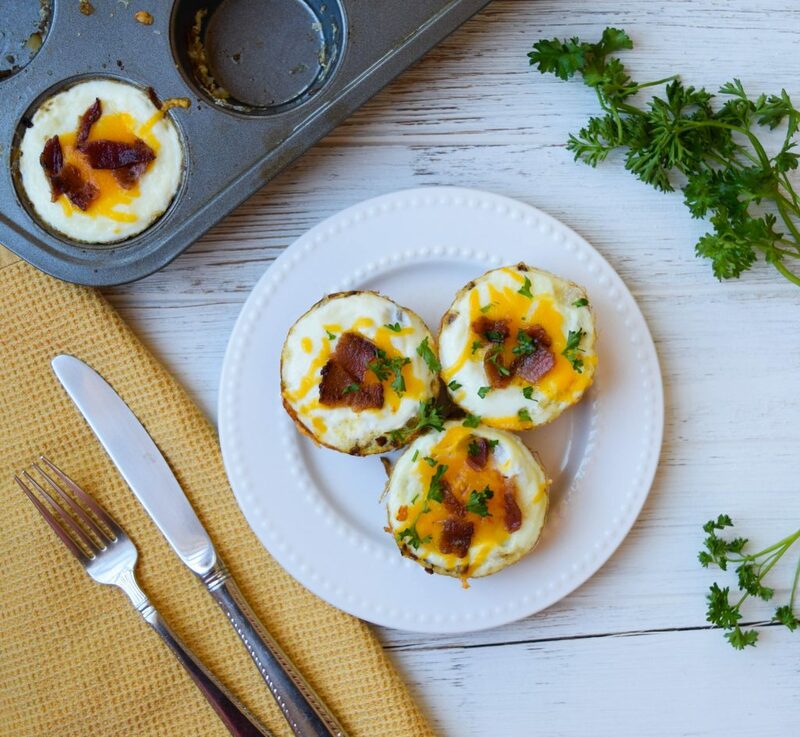 Let the egg cups rest for 10 minutes before running a sharp knife around the edge of each and removing carefully. Serve immediately with a sprinkle of parsley or chives.